Handle (Item RPA). 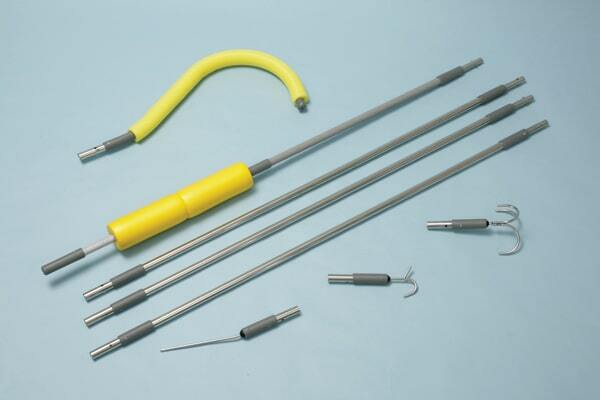 Three Extensions (RPB), one (RPC) Grapnel Adapter, one (RPD) Boat Hook Adapter, one (RPE) Rescue Sling Adapter, and one (RPF) Shepherds Crook Adapter. 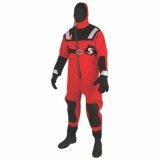 The "B" series of Ice Rescue Reels features our Braided 3/8" (9 mm) Ice Rescue Rope. This non-rotational line is needed for tethering of our Ice Rescue Safety Shuttle. 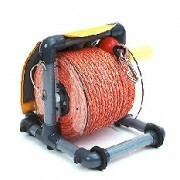 Contains 300' of Braided 3/8" diameter ice Rescue Rope of 3,500 strength.